Welcome to Miller Towing & Recovery! We are a local, family-owned and operated small business with over 21 years of experience specializing in vehicle towing, jump starts, lockouts, tire changes, locksmithing and general road services. We also offer 24-hour emergency service. When you’re stranded on the side of the road, what do you value most in a towing company in Cerro Gordo County, IA? Most likely, qualities like dependability, efficiency, trustworthiness and experience count for a lot. Since 1995, the valued clients of Miller Towing & Recovery have been able to count on us for all of the above qualities and more. As a family owned and operated small business, we know that profits can come and go, but long-term, high quality customer relationships are what really help a company succeed. We are proud to base both our high work standards and friendly customer service on that belief. Miller Towing & Recovery offers our clients a wide range of practical and affordable services, including but not limited to the following: emergency towing and roadside assistance, lockout car service, wheel lift towing, jumpstarts, tire changes and more. In addition to providing a wide swath of services, we take pride in also making each one is done consistently well. Our small, dedicated team is known for never cutting corners, and for being quick to respond to any job, big or small. We are a proud locally owned and operated small business in Cerro Gordo County, IA. Our business has been serving the greater area since 1995. 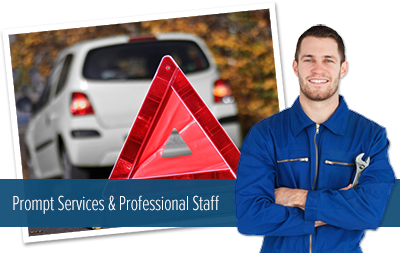 Our services include towing, roadside assistance, locksmithing and more. Our rates are consistently reasonable.